"Officer, I passed out from Christmas shopping." -- An intoxicated West Virginian driver to police last year. "It's New Year's Eve, everyone drives drunk." -- A New Jersey driver to police in the waning minutes of 2014. Nationally, arrests for drunken driving spike during the holidays and peak on New Year's Eve, when revelers and police both hit the streets in force. CarInsurance.com crunched the latest FBI data to find out which states are making the most arrests for driving under the influence. Experts caution against comparing crime rates across regions because many factors come into play, including alcoholism rates, miles driven by motorists, fewer public transit options and drunken driving enforcement and prevention programs. We'd be remiss if we didn't point out the obvious: please don't drive after imbibing, ever. If the prospect of hurting someone doesn't deter you, perhaps the $10,000 price tag will, due largely to years of increased DUI insurance rates. In 2014, these two western states each made 45.5 DUI arrests for every 10,000 residents. New Mexico, authorities made 7,384 arrests in jurisdictions serving 1.6 million people. The state population is 2 million. New Mexico also had the sixth highest rate of drunken driving fatalities, at 5.6 per 100,000 residents, or 116 deaths. The FBI's Uniform Crime Report is the only official tally of crime nationwide. But it is a voluntary program, and not every police agency submits corresponding data. CarInsurance.com calculated the rate of DUI arrests using the populations of the participating agencies, as estimated by the FBI. 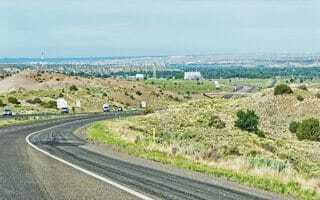 Drivers in New Mexico will see a 59% hike, according to a CarInsurance.com analysis of rates from six major carriers. In Idaho, authorities made 7,439 DUI arrests in the state, which has a population 1.6 million. Drivers convicted of a drunken driving misdemeanor can serve up to six months in jail for their first violation, have their license suspended between 90 and 180 days and receive an up to $1,000 fine. A second misdemeanor violation is a minimum mandatory 10 days and up to one year in jail, an up to $2,000 file and a one year mandatory license suspension that starts after release from jail. Drivers convicted a second time must also have an ignition interlock installed in their vehicles. 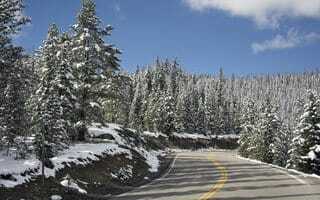 In Idaho, your annual car insurance rate increases 56 percent, on average, after a DUI. Kentucky's drunken driving death rate dropped 39 percent between 2004 and 2013, faster than the national average, according to the Foundation for Advancing Alcohol Responsibility. But its fatality rate remains high, at 3.9 per 100,000 residents compared to 3.1 nationwide. In 2014, 171 people were killed in DUI crashes on Kentucky's roadways. The state ranked ninth in 2014 in DUI arrests, with 45.7 per 10,000 residents, or 19,953 arrests. Kentucky was one of 10 states in 2015 to receive a low score -- either one or two stars out of a possible five -- from MADD. It is one of only a handful in the nation that does not require DUI offenders to install an ignition interlock device, which disables a car if the driver fails an alcohol breath test. 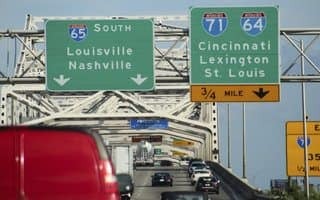 If you're busted for DUI in Kentucky, your car insurance rates will jump an average of 85 percent annually, according to CarInsurance.com's rate analysis. When the financial site WalletHub ranked states in 2015 on their DUI prevention and enforcement actions, Nebraska fared well, emerging as the third strictest in penalties and the sixth strictest overall. In 2014, its drunken driving fatality rate was 3.2 per 100,000 residents, slightly above the 3.1 national average. But Nebraskans still drink and drive more than most, according to surveys by the U.S. Centers for Disease Control and Prevention. Or maybe Cornhuskerers are just honest. When asked if they'd driven while impaired in the past 30 days, 3.4 percent said they had, compared to 1.9 percent who admitted to nationwide. They paid the price, with the eighth highest DUI arrest rate in 2014: 49.5 per 10,000 residents, for more than 8,300 arrests total. Drivers in Nebraska will also pay more for car insurance: a DUI conviction hikes rates by an average of 70 percent a year, according to CarInsurance.com's rate analysis. 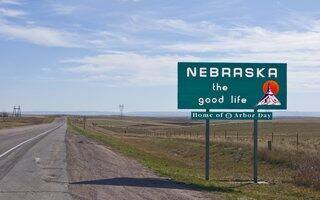 The sparsest state in the union has cracked down on drunken driving. First offenders are automatically slapped with a $1,500 fine; second offenders a $3,000 fine. 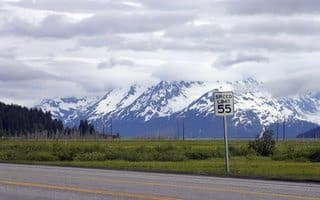 Citing these as the largest in the country, WalletHub called Alaska the second toughest state on DUIs, behind Arizona. It ranked 18th for prevention efforts. . In 2014, 3 people per 100,000 residents were killed in DUI crashes, close to the 3.1 national average, equating to 22 Alaskans killed. And the state still had the seventh highest rate of DUI arrests: 49.8 for every 10,000 people. In the CDC survey, only 1.2 percent of Alaskans said they had driven while impaired in the previous 30 days. In Alaska, a DUI conviction will increase your yearly car insurance rate by an average of 49 percent. Hawaii is the most densely populated -- ranking 13th in the nation -- of the top 10 states for DUIs in 2014. The state's drunken driving deaths decreased, along with the nation's, in the decade leading up to 2013, by some 30 percent, but the number of fatalities attributed to drunk drivers under aged 21 increased by 31 percent. In CDC surveys, 2.9 percent of Hawaiians said they had driven while impaired by alcohol in the previous 30 days, 50 percent above the national average. In 2014, Hawaii had the sixth highest DUI arrest rate, of 49.9 per 10,000 residents. 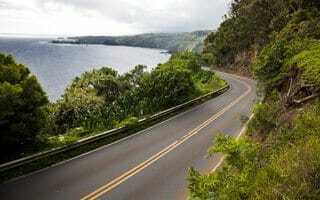 An analysis by CarInsurance.com, found that insurance rates increased by an average of 182 percent in Hawaii after a DUI. Drivers in Colorado racked up 53.7 drunken driving arrests for every 10,000 residents in 2014, or more than 28,000 DUIs. Its drunken driving fatality rate reflected the national average, with 3 deaths per 100,000 residents, or 160 in 2014. Until 2015, Colorado was one of only five states without a felony DUI law, which limited jail time, even for serial drunk drivers, to one year. After a repeat offender killed a father and two young boys, Coloradoans passed a law classifying a fourth DUI conviction in one's lifetime a felony, punishable by up to six years in prison. Drivers busted for DUI in Colorado will see annual car insurance rates go up an average of 52 percent. The Blues State had the fourth highest rate of both DUI arrests and drunken driving deaths in the nation, according to CarInsurance.com's analysis of FBI data for 2014. Mississippi recorded 60.1 DUI arrests for every 10,000 residents, and 5.9 drunken driving fatalities for every 100,000. It's not a new trend. There were 6.1 drunken driving deaths for every 100,000 people in 2013, and 7 per 100,000 in 2012, according to National Highway Traffic Safety Administration data. And even those figures represented a 30 percent drop over the previous decade. In 2014, Mississippi passed a law requiring first-time offenders to install an ignition interlock device for at least 90 days. Those convicted of a repeat DUI must use the device for at least one year. 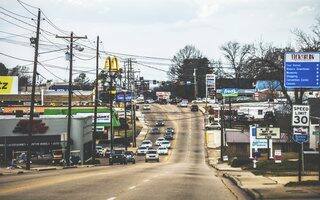 Yearly car insurance rates for drivers in Mississippi cited for DUI increase, on average, by 57 percent. 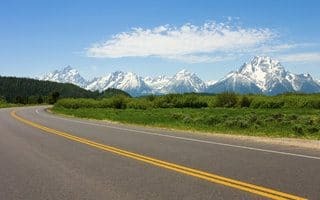 Wyoming, less populated than every state except Alaska, had the highest rate of drunken driving deaths in the nation, at 8.2 per 100,000 residents, or 48 people killed, in 2014. The state had the fourth highest rate of DUI arrests, at 71.1 arrests per 10,000 people. 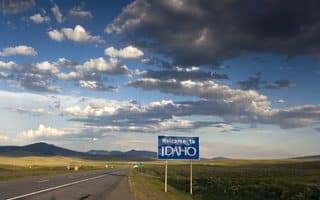 Wyoming is one of 12 states without sobriety checkpoints. They include two other states with high DUI rates -- Alaska and Idaho -- and one with among the lowest DUI rates -- Rhode Island, which also has a low incidence of drunken driving deaths. The Wyoming Association of Sheriffs and Chiefs of Police told the Wyoming Tribune Eagle in December that drinking and driving was the most common offense for which people are arrested. 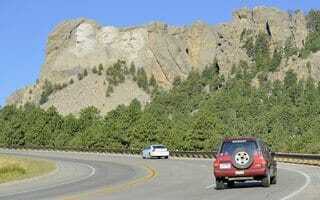 Car insurance rates in Wyoming rise by an average of 57 percent a year after a DUI conviction. In its 2015 analysis, WalletHub called South Dakota the most lenient state in the nation in combating drunken driving, pointing out that the state has no minimum jail sentence for first or second offenders, no mandatory vehicle impound or license suspensions and no required ignition interlock devices. 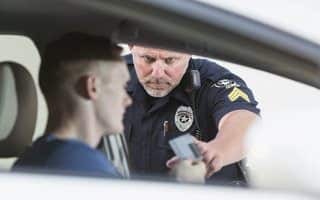 In 2014, it had the second highest rate of DUI arrests in the country, according to an analysis of FBI data by CarInsurance.com, with 78.6 arrests for every 10,000 residents. It had the seventh highest rate of drunken driving fatalities, at 5.4 for every 100,000 residents, or 46 people killed in 2014. 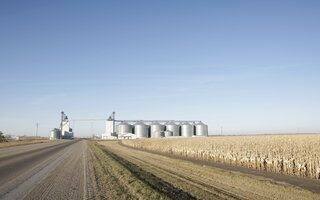 An analysis by CarInsurance.com, found that insurance rates increased by an average of 41 percent in South Dakota following a DUI conviction, less than all but one other state and well below the nationwide average increase of 76 percent. As the nation's rate of drunken driving deaths decreased -- by 29 percent from 2004 to 2013 -- North Dakota's increased, by 60 percent. In 2013, the state strengthened its drunken driving laws, increasing fines, doubling jail time for repeat offenders, and mandating minimum prison sentences for DUIs that cause injury to one year, and for those that cause death to three years. "No get out of jail free card anymore," one legislator announced. Those convicted of two DUIs within seven years are now also required to enroll in a sobriety program that includes twice-daily alcohol tests. The overhaul has yet to be reflected in the death statistics. The small, landlocked state, population 739,000, not only had the highest rate of DUI arrests, at 93.7 per 10,000 residents, but also had the second highest rate of drunken driving fatalities in 2014, at 7.4 per 100,000 residents, equating to 55 people killed. An analysis by CarInsurance.com found auto insurance premiums increased by an average of 57 percent after one DUI conviction. 0 Responses to "Top states for drunken driving arrests"